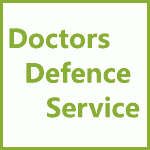 A Doctor’s ‘Right to be Forgotten’ | Doctors Defence Service – UK. A doctor’s reputation can be enhancing or destructive of their career, depending on the information that that is in circulation about them. Doctors understandably need to protect their reputations if they are to progress in medicine. On occasions, online media organisations (such as online newspapers) and social media organisations will publish articles that are in some way critical of a doctor’s conduct. Such articles may attract wide readership, due to the salacious content or hype associated with the subject matter. Such articles have a habit of lingering on the web long after the cause for concern has been scrutinised and disposed of through regulatory or court processes. Acquittals are rarely published, and even where findings have been made against a doctor, there becomes a point in time where it is arguable that they should be able to move on with their career, without the constant public reminder of their wrongdoing that may well be available online in perpetuity. Where a doctor has been defamed by a libellous article they may well have a remedy in libel law. However, where the information is true, or reasonable opinion, it may be more difficult to have the ‘offending material’ removed. The development of the law on the right to be forgotten, of an individual EU citizen, in recent years, may also offer a remedy. At the time of writing (February 2019) it is unknown whether Brexit will have an impact on how this law will develop in the UK. But, pre-Brexit, the law may well offer a remedy. The UK courts are being rather slow in developing the law, it should be noted. In short, the right to be forgotten was developed by the EU Court of Justice. It ruled that EU citizens can apply for an online search engine (such as Google, Bing or Yahoo) listing relating to them to be removed, in certain circumstances. It is finally being acknowledged that digital media has a permanency that print media does not, and that the search rankings can distort the importance of the past story, being given prominence in the search engine listings, sometimes appearing in the first few search results. Such listings can be devastating to a doctor. In a recent case, brought in Holland, (ECLI:NL:RBAMS: 2018:8606, Rechtbank Amsterdam, C/13/636885 / HA RK 17-301) a doctor (a surgeon), who had historically faced fitness to practise type proceedings in Holland, was dissatisfied that an historic case concerning them kept appearing in online search engine results, in a website not operated by regulators, and in a way that was denigrating to the doctor. The third-party website was referred to as an “unofficial blacklist” within the court case. The prominence of the website’s listing in Google, when a search was performed in the doctor’s name, was damaging to her career. The doctor had moved forward significantly since the professional difficulties she had encountered had arisen, and her career was in a much different place from that time. She brought proceedings against Google, which was a data controller under the Privacy Directive 95/46 /EC, to have the listing removed, arguing that the historic references, albeit accurate to some degree were having a detrimental impact on her longer term career. The Dutch court agreed that the listing should be removed from Google. ” even initially lawful processing of accurate data may, in the course of time, become incompatible with the directive where those data are no longer necessary in the light of the purposes for which they were collected or processed. That is so in particular where they appear to be inadequate, irrelevant or no longer relevant, or excessive in relation to those purposes and in the light of the time that has elapsed.“. The search engine companies have been somewhat resistant to this change in the law because it threatened to add a further bureaucratic burden to their operations, with associated cost. The law is likely to develop further over time, and the search engines will have to adopt protocols to better enable citizens to challenge listings. Google recently settled a case before it reached the Court of Appeal in England and Wales. The original case, NT1 v Google LLC  EWHC 67 (QB) (Rev 3) (January 2018), did not go in the applicant’s favour. However, Google settled the before it reached an appeal hearing. English law is therefore not yet settled on the subject, but DDS is of the view that the law will develop as it is elsewhere in Europe, as time passes. Despite the current unsatisfactory clarification by the UK courts, a claim against a search engine company can arguably be brought in the UK, to challenge a listing, in appropriate circumstances. Matters to consider might include the age of the incident referred to, whether there is a public interest in the information remaining online, whether there is a regulatory or criminal aspect to the case, and whether such information should no longer be processed by the search engine company.